Here's your favorite The Disney Afternoon Scottish duck tycoon! Exclusive red coat version of Scrooge McDuck! Just like in the original comic books, NES game, and Disney Channel series. Entertainment Earth Exclusive! 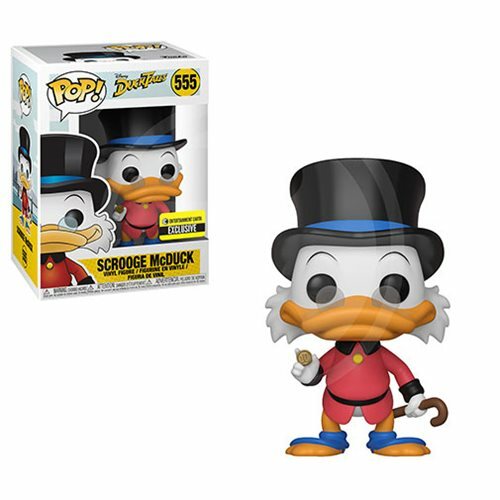 Life is like a hurricane in Duckburg, but you can bring home this fabulous Pop! Vinyl figure and create your own DuckTales from the popular cartoon series. 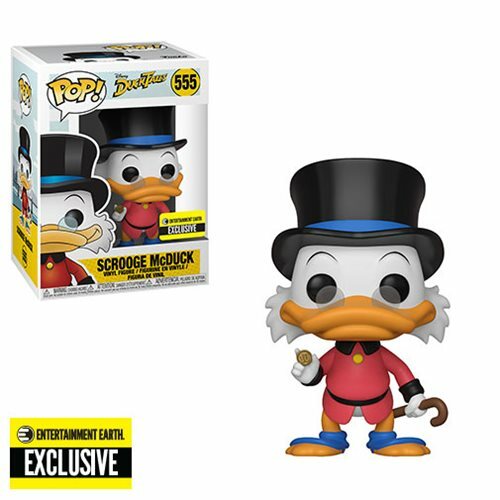 This exclusive version has Scrooge McDuck in his red coat, just like in the original comic books, NES game from Capcom, and the current Disney Channel series where he's voiced by David Tennant! 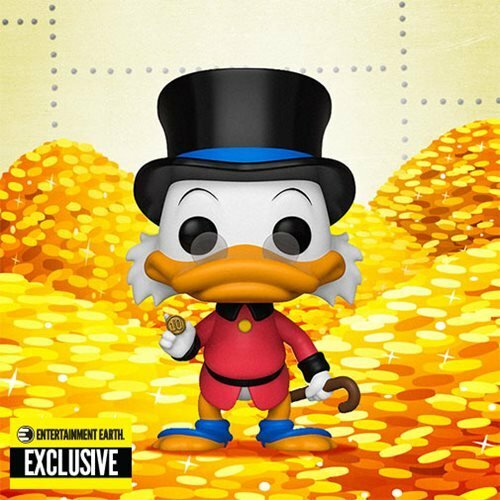 Measuring approximately 3 3/4-inches tall, the DuckTales Scrooge McDuck Red Coat Pop! Vinyl Figure #555 - Entertainment Earth Exclusive comes packaged in a window display box.